Before it commits millions of dollars more to keep state troopers on the border, lawmakers need to know what DPS has accomplished during the border surge, a border legislator said Monday. 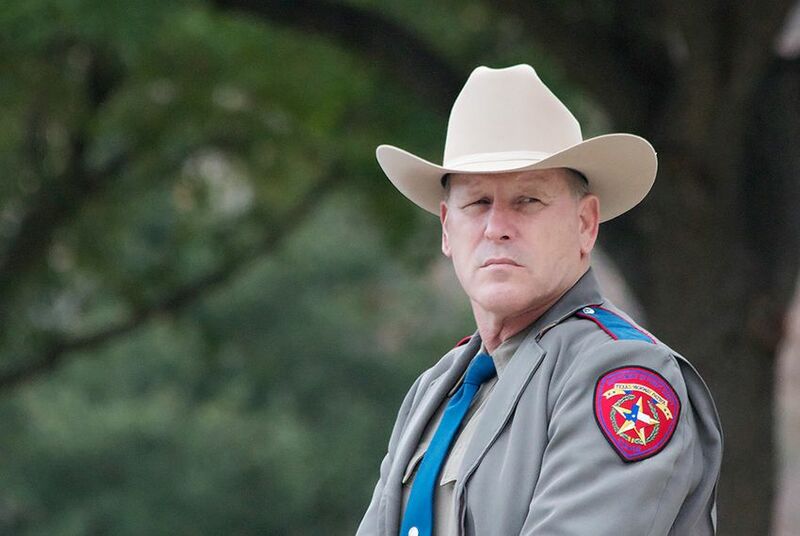 A border lawmaker on Monday said the Texas Department of Public Safety has failed to provide details to back up claims that the state's multimillion-dollar surge of law enforcement to the border is producing results. State Rep. César Blanco, D-El Paso, said DPS has instead provided figures of arrests and drug seizures that include the efforts of all agencies – including federal and local law enforcement – and not DPS alone during Operation Strong Safety. The operation, a multi-agency effort launched to curb trafficking and other crimes on the border, began in June as a response to the flood of undocumented immigrants that fled Central America and crossed into Texas illegally. Blanco’s charge came a day before the Texas House is scheduled to debate a budget that includes hundreds of millions for border security operations. Katherine Cesinger, a DPS spokeswoman, said the department has worked with Blanco on the issue. "The department provided a significant amount of information and answers to the numerous and specific questions by Rep. Blanco. In addition to the recent answers provided to Rep. Blanco, he was also provided a 60+ page law enforcement sensitive report detailing the activities, costs and results of Operation Strong Safety," she said in an email. "It is unclear if Rep. Blanco has read that report. It is also unclear what outstanding questions he would have, as the department has been transparent and responsive to his multiple requests." Blanco’s statement details a string of correspondence between his office and DPS that began on March 10. That’s the same day DPS declassified a report on what the OSS has accomplished. In his first letter, Blanco asked DPS Director Steve McCraw to provide, as of that date, the number of people DPS had come in contact with; the number of arrests and charges brought against the individuals; the number of people released; and the immigration status of people detained and/or charged. Blanco said he wanted the information after Maj. Gen John Nichols of the Texas National Guard testified that the guard had “observed and reported” 13,584 individuals to DPS and other agencies from Aug. 24, 2014, to February 2015. The Texas National Guard has been deployed in the Rio Grande Valley since last summer as part of OSS. On March 12, McCraw told Blanco that 77,130 apprehensions had been made from June to February. McCraw added that OSS is a “multi-agency, multi-jurisdiction law enforcement operation conducted primarily in Starr and Hidalgo Counties” and the figure included individuals observed and reported by all members of the operation, including the Texas military forces. The individuals were turned over to U.S. Customs and Border Protection for processing and subsequent investigations. The DPS doesn’t keep track of the people it turns over to the federal agency, nor does it have any record of their immigration status, McCraw wrote. On March 17, Blanco asked DPS to provide information on the number of apprehensions and drug seizures the agency was solely responsible for between June 23 and Feb. 21, 2015. It was the agency’s response Monday that Blanco said should make budget writers question spending tens of millions to continue the effort. McCraw told Blanco that from June 23, 2014, to March 25, 2015, about 421,817 pounds of pot, 811 pounds of cocaine, 793 pounds of methamphetamine and about 33.5 pounds of heroin had been seized as part of the operation. But those totals also included seizures made by local and federal law enforcement, including the U.S. Border Patrol. In Monday’s letter, McCraw said that DPS initially requested $2.17 billion in total appropriations for the next biennium; more than $123 million will go toward border security efforts. Blanco said the back-and-forth between his office and the agency should set off alarm bells. DPS disagrees with Blanco's characterization. "The department produces a monthly dashboard that includes current and historical border-wide information as well as OSS-specific data, which is available to lawmakers and the public," Cesinger said. "As a reminder, the department was directed by the Texas Leadership to launch OSS in June of 2014, and the operation is continuing at the direction of state leaders. DPS is proud of all our law enforcement officers and partners, who risk their lives to combat the ruthless cartels and their operatives along the border." It is unclear from the "dashboard," however, what the DPS, Border Patrol and local law enforcement have each contributed to the law enforcement operations.